Looking For Great Awnings? Don’t Ask Us. …Ask our customers. 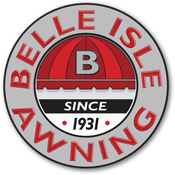 They’ll tell you: When it comes to quality in materials, workmanship, and service, nobody beats Belle Isle Awning. Our many decades of outstanding service to homeowners and businesses throughout the metro Detroit area have been rewarded with the loyalty of the best customers a company can have. Many of them have graciously shared their stories of satisfaction with their friends, neighbors, and business associates, helping us to build our company into the thriving business it is today.